Just hours from now, fans will finally get to see Teenage Mutant Ninja Turtles in preview screenings across the country before it opens nationwide on August 8. In case you still need more footage to prepare yourself for this action-packed adventure, Paramount Pictures has debuted a new featurette, where director Jonathan Liebesman takes us through the motion capture process, while actress Megan Fox discusses how important it was to have actual actors on the set to play these heroes in a half-shell. We also have a clip where the brothers (Alan Ritchson, Noel Fisher, Jeremy Howard and Pete Ploszek) try to sneak back into their sewer home before Master Splinter (Danny Woodburn) catches them. 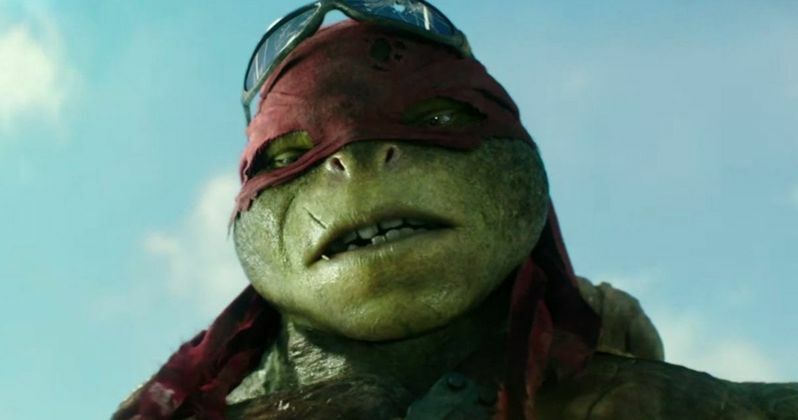 To top it all off, we have three more TV spots, one showcasing Raphael and another featuring some of the praise this reboot has gotten from the nation's critics. The city needs heroes... Darkness has settled over New York City as Shredder and his evil Foot Clan have an iron grip on everything from the police to the politicians. The future is grim until four unlikely outcast brothers rise from the sewers and discover their destiny as Teenage Mutant Ninja Turtles. The Turtles must work with fearless reporter April and her wise-cracking cameraman Vern Fenwick to save the city and unravel Shredder's diabolical plan.